Ever wondered if the old grey matter is going like mine. 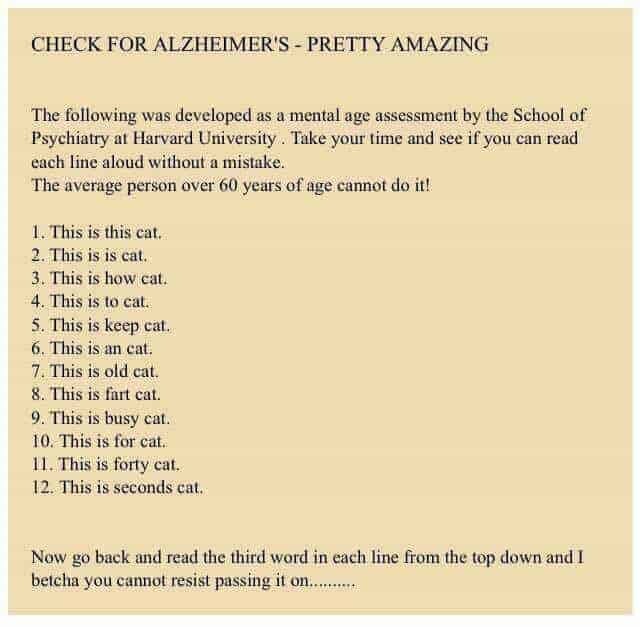 Here's a test you can do just read. Nurrrghhh! !